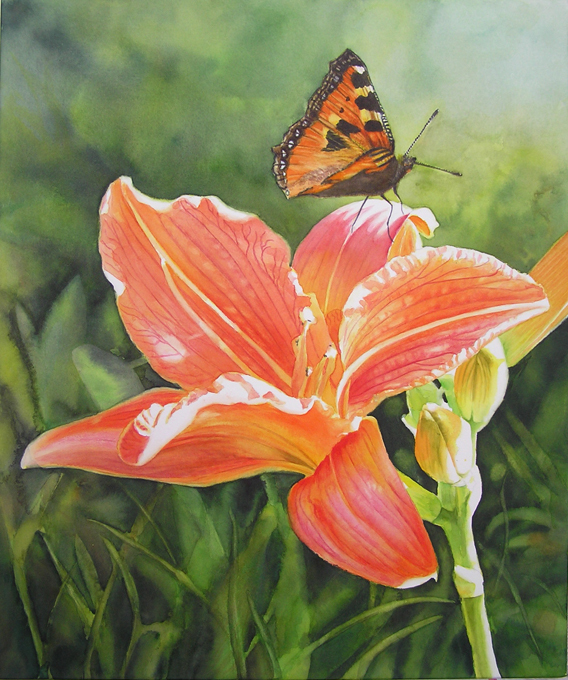 Here is my newest Watercolor Flower Painting – Orange Daylily with Butterfly. 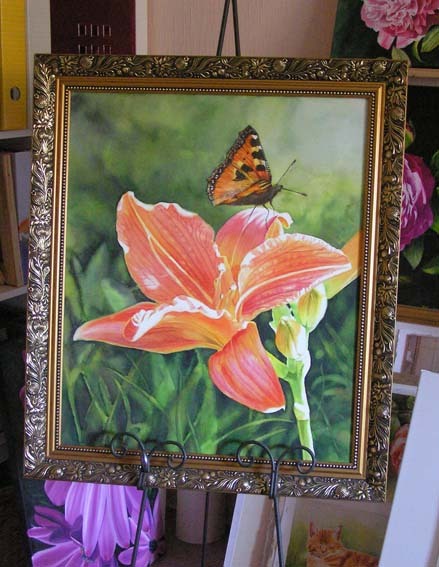 This glowing orange Daylily was growing in my garden so beautifully – I had to paint it. The Butterfly sits on the Lily and enjoys the sunshine. This Butterfly is named “Kleiner Fuchs (Aglais urticae)”, translated “Little Fox”. 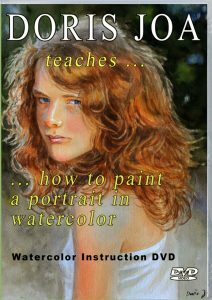 The painting is painted on Watercolor Canvas. 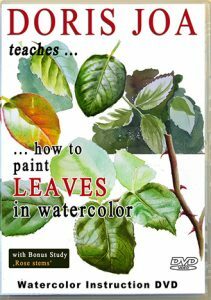 I am stretching the watercolor paper by myself over stretcher bars, so that I am having a watercolor canvas. 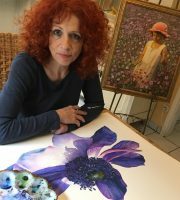 This means, the paintings doesn’t need to be framed behind glass because the painting will be varnished. The edges are painted so no frame is needed. But it simply looks stunning framed. Currently I am working on a small series of new rose paintings. 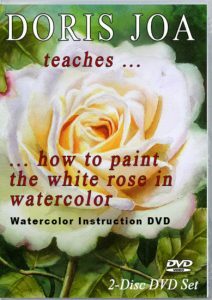 Each rose painting will be in size 12×12 inch and each will be painted on stretched canvas, too. 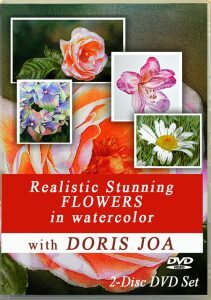 They will make a wonderful collection for each rose lover, so keep watching this space as I will post the new rose paintings here. Oh just in the moment my daughter came in and brought me the mail and I got a new Roses cataloque from Kordes Rosen. 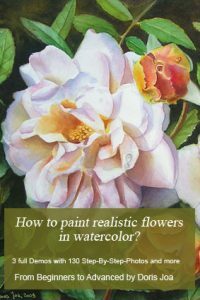 I think I will get some new roses this spring and this means more rose paintings. Can’t wait …..